Richard M. Nixon. · One Book. One Author. One Hour. unknown, “Richard M. Nixon.,” One Book. One Author. One Hour., accessed April 24, 2019, http://booknotes.gmu.edu/items/show/2918. 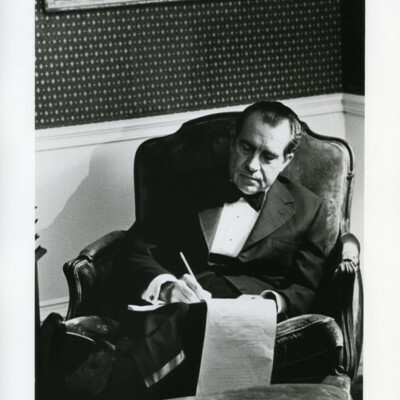 Former President, Richard M. Nixon writing in the Lincoln sitting room at the White House. 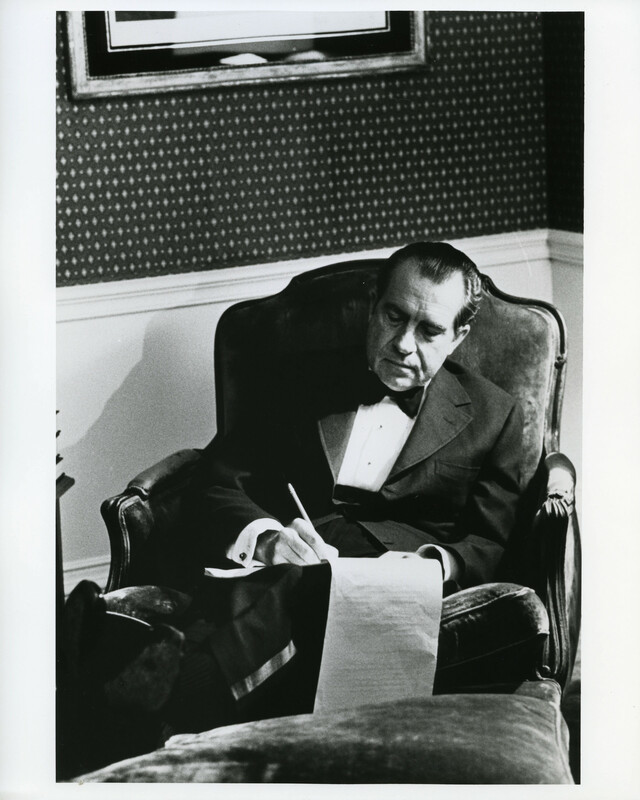 Nixon told "Booknotes" host Brian Lamb that he liked to write in that room when he was president.